Yesterday was spent in prep. 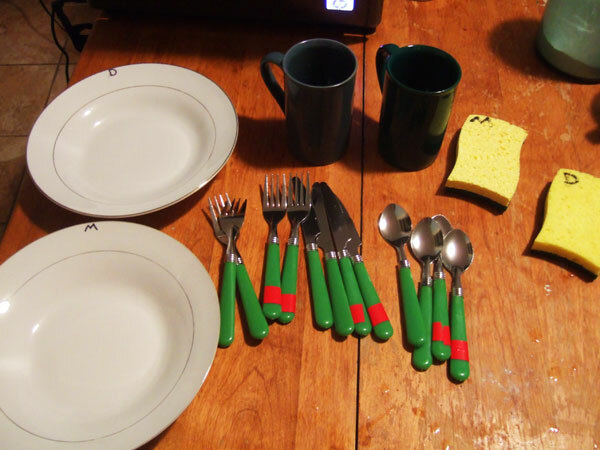 Dishes that I’ve set aside for months, new and unused, are finally fulfilling their destinies. Everything cleaned and separated for meat and dairy. My boyfriend decided to join me in my experiment. Both of our brains are in Kosher mode. He texted me from Starbucks: Sugar in the Raw is Parve. Stealing us some. We spent an hour that night at the grocery store, examining packages for the necessary “K” for Kosher. The full story of Day 1 tomorrow. so it’s kosher to steal?